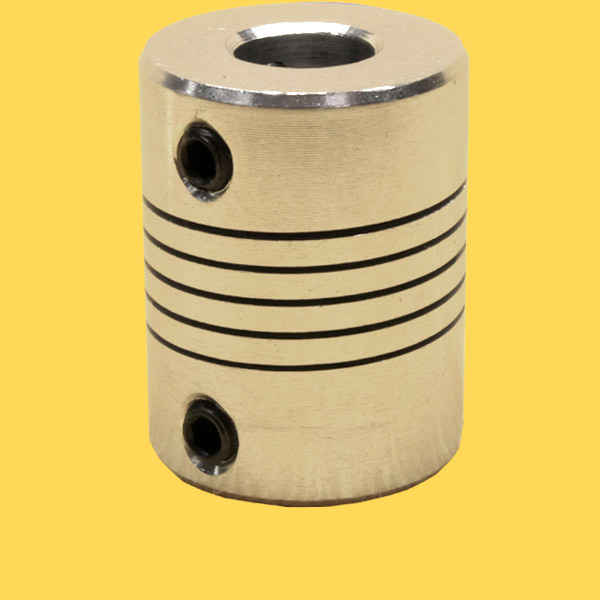 A flexible shaft coupling is often used between the stepper motor and shafts to reduce stress on the motor due to ie. shaft misalignment. It can also reduce noise. The coupler is 25mm long, 19mm in diameter (OD) and with a center hole of 5mm in diameter.